This project is my first attempt at realizing a conceptual prototype. Starting by learning the anatomy of the hand, I slowly moved towards more intelligent handle forms. 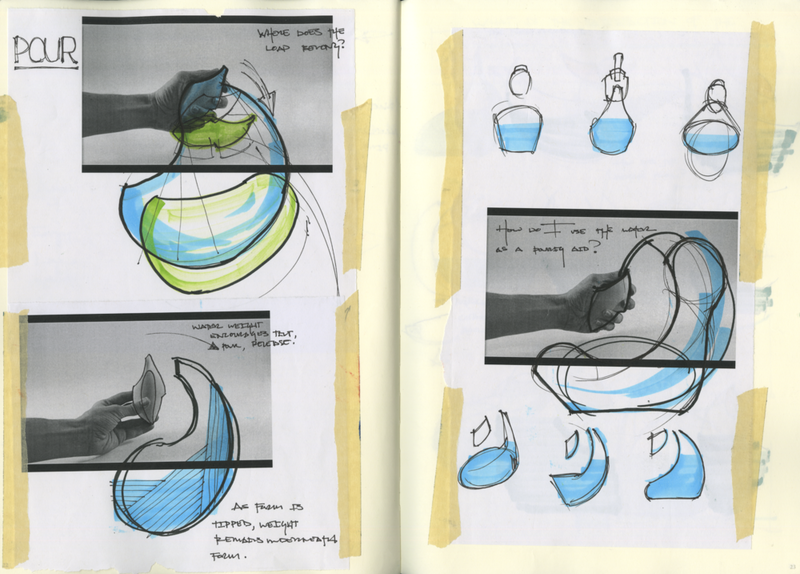 After settling on a final squeeze form, I used that shape to inform an accompanying vessel. This 8 week process allowed me the time to go in depth with studies in many different media, exploring the advantages and disadvantages of ideation in drawing, foam core, clay, Solidworks, and foam. Bouncing between these tools helped me prototype efficiently and realize a cohesive final product that has equal diversity to these methods.